Nr. 8 of the Water Lilies series. 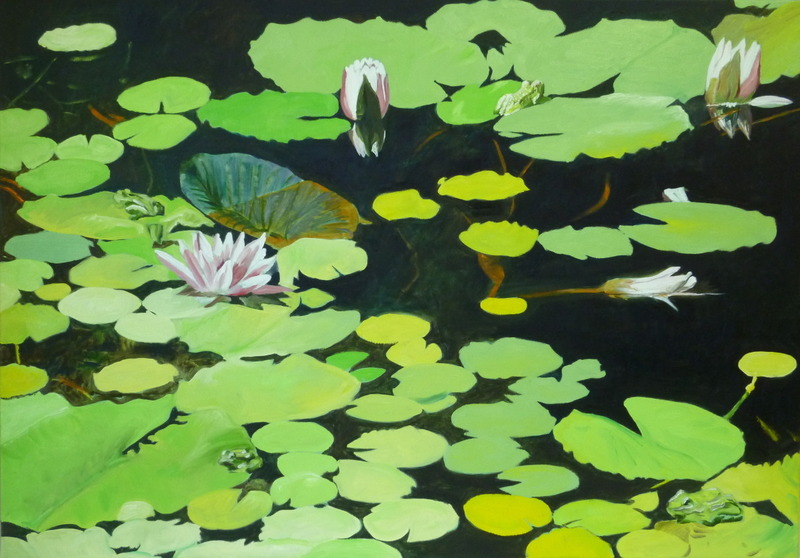 An impressionistic image of pond, water lilies and frogs. Somewhat abstract.